Cortana is your cloud-based personal assistant that works across your devices and other Microsoft services. Depending on the capabilities of your device and the version of Cortana you’re using, Cortana can provide a range of features, some of which are personalized. Cortana is also available on other platforms, such as Android and iOS, in select markets. Cortana works best when you sign in and let her use data from your device, other Microsoft and third-party services, and skills you choose to connect. To provide you with personalized experiences, Cortana learns from certain data about you, such as your searches, calendar, contacts, and location. You are in control of how much data you share. 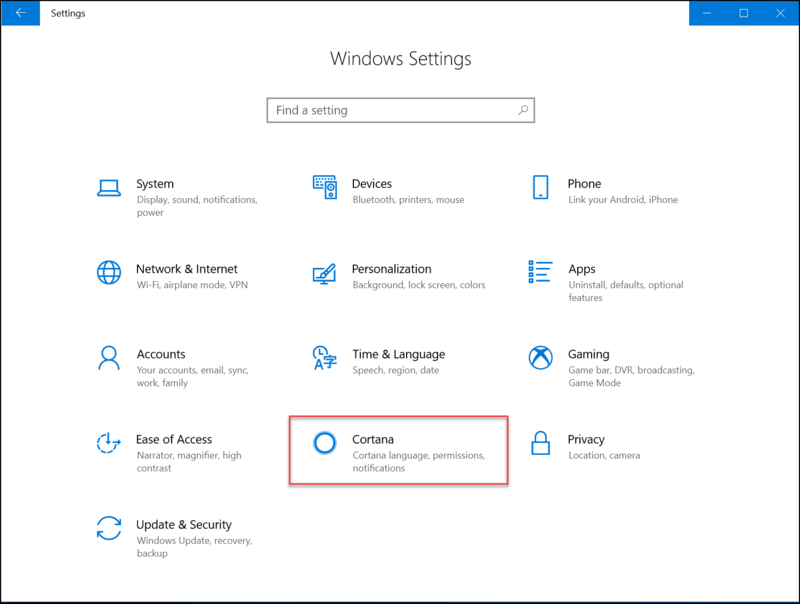 If you choose not to sign into Cortana on Windows, you can still chat with Cortana and use Windows Search to search the web, documents, and emails stored in Microsoft services like OneDrive and Outlook and on your Windows device. If you don’t sign in, or you choose to sign out, your experiences will be more limited, and they won’t be personalized with your Cortana data. 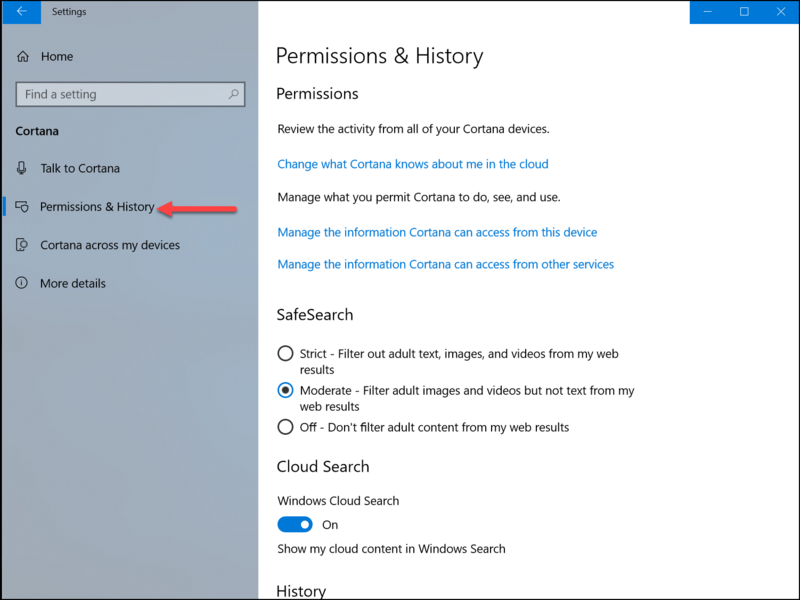 With this tutorial we'll guide you to clear your device history stored by Cortana. 4. 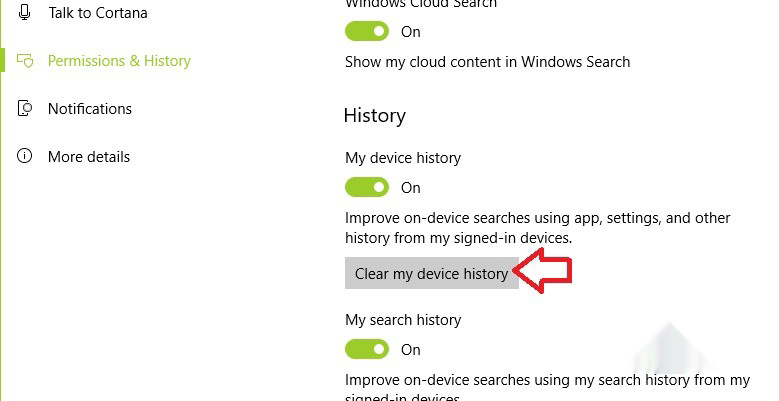 In the right panel, there is an option under History menu, click on Clear my device history.